Jared Jaffee won the 2017 WSOP Circuit $1,675 no-limit hold’em Main Event at Bicycle Hotel & Casino in Los Angeles. 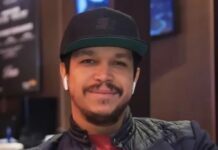 The 36-year-old poker pro defeated a field of 687 entries to win $211,220, his first WSOP Circuit gold ring and a seat into the 2018 Global Casino Championship. “I had kind of been thinking about doing it for a while and I love Vegas, but the year has actually been kind of stressful,” said Jaffee. Finishing the year on a strong note, Jaffee is looking forward to continuing his recent success after the calendar changes to a new year. “That made it tough, but this helps and it feels like the momentum is shifting and I’m looking forward to 2018,” said Jaffee. 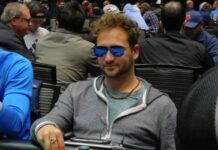 Previous articlePoker Night in America S5 E32 – Jason Koon ENTERS THE FRAY!